Call it silly, but you'll be wishing you had one when the Snowpocalypse hits. 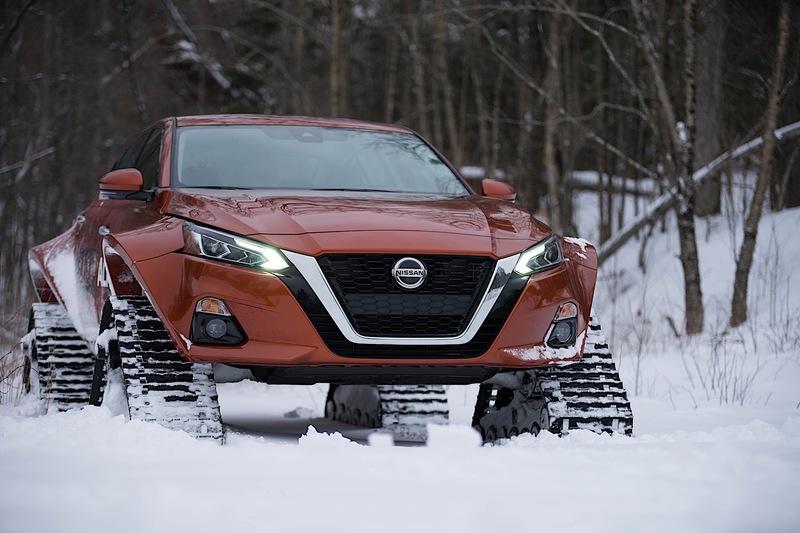 Just when you thought Nissan was done adding snow tracks to its cars (having already done so to the Murano and the 370Z it went on to call the "370Zki"), they've done it once again. 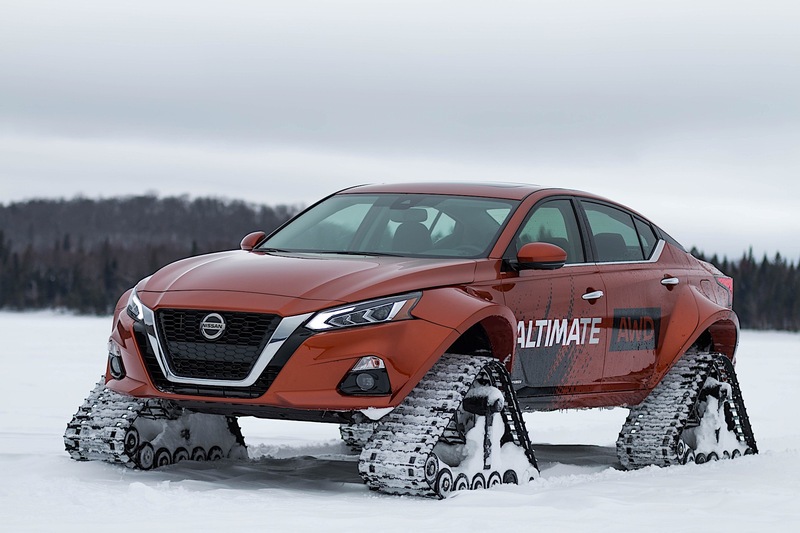 This time, the folks at Nissan Canada have added tracks to the newest all-wheel-drive sedan: the Altima, and they're calling it the Altima-te AWD. 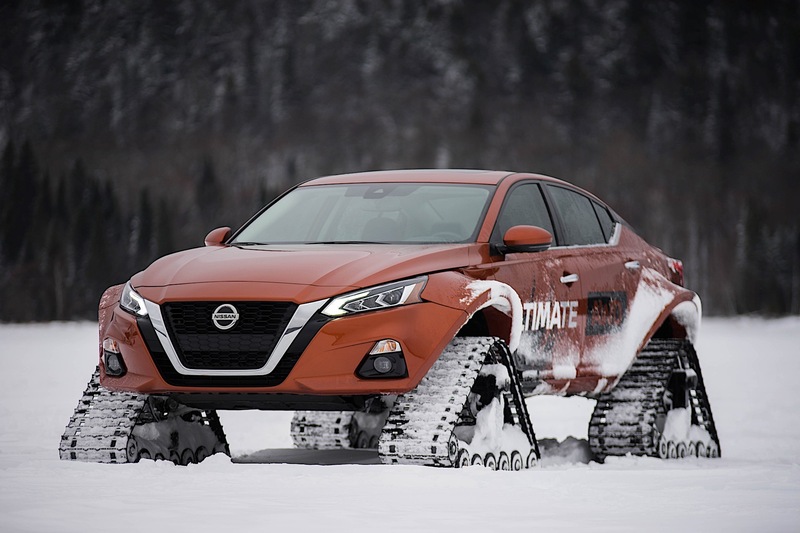 In the United States, we get the option of outfitting the Altima with either front-wheel drive or all-wheel drive, but in the Great White North they're restricted to all-wheel-drive because that's customers want due to the harsh weather. Of course, if the going gets tough, the tough get tracks. It's a one-off concept, like the other "tracked" vehicles, but that doesn't mean it's not cool. It also makes sense from a sedan marketing standpoint, where the cars aren't often all-wheel drive. "This is not the Altima of old; for the 2019 model year, we are redefining what this historic nameplate stands for," says Joni Paiva, president of Nissan Canada Inc. "With the scarcity in the market of all-wheel drive configurations available on sedans, we wanted to make a statement to customers. The average person does not assume a sedan offers AWD." 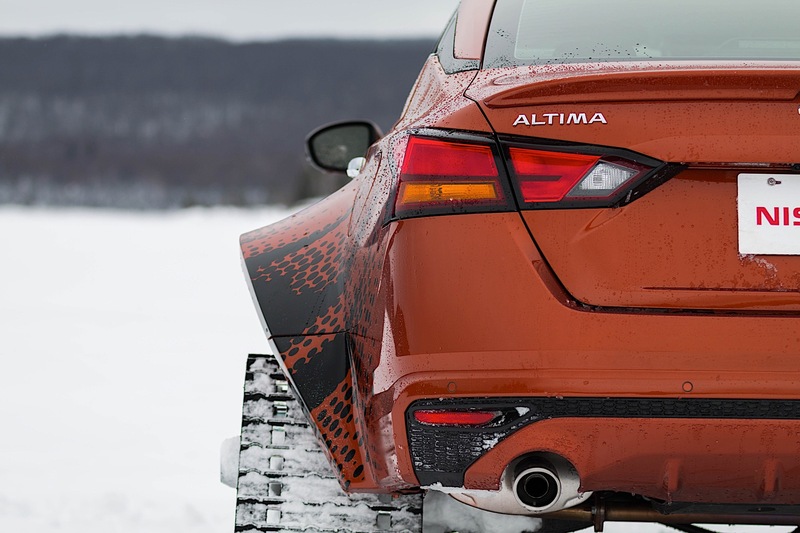 The tracks measure 48 inches long, 30 inches tall and 15 inches wide, which is why the Altima has custom bodywork to accommodate them. The front and rear fenders, for example, were flared out seven inches on each side to make sure they fit. The car was also lifted by three inches and all the work took around 250 hours to complete. We don't expect this car to enter production, or even come to an auto show in the United States. But if you live in Canada, you can see it at the Montreal International Auto Show or the Canadian International Auto Show in Toronto next month. Its features may not be as 'magical' as Mary Poppins' handbag, but its hard to ignore the VC-Turbo engine's ingenuity. Can a high-tech variable compression turbocharged engine and all-wheel-drive help the all-new Nissan Altima gain ground in the shrinking midsize sedan segment? 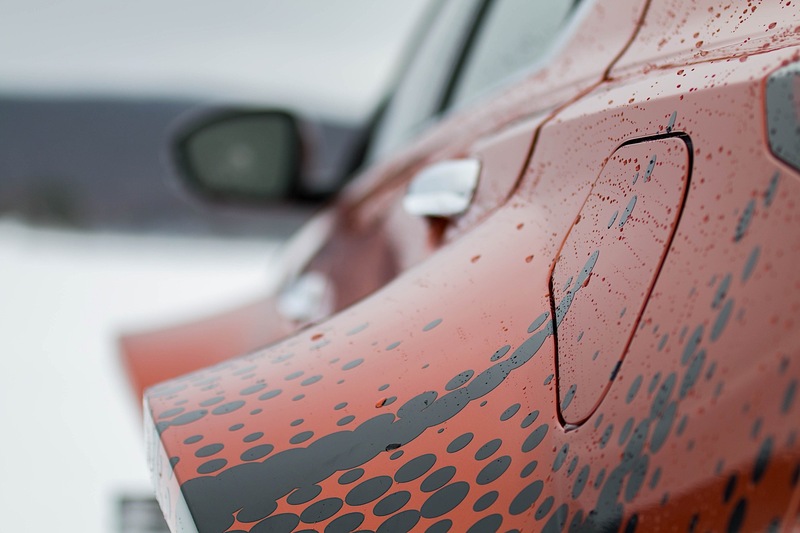 A one-of-a-kind project car based on the 2018 Nissan 370Z was teased in a 20-second video clip.